Rohit Shetty's Simmba has become the one of the biggest blockbuster movies of 2018, and still continues to show its magic at the box office. Simbaa is close to touch Rs 440-crore mark globally, the film has already earned Rs 385-crore worldwide. In the Indian market, the film has collected over Rs 238-crore so far. However, its business has now started declining due to multiple new releases like Uri: The Surgical Strike, Manikarnika-The queen of Jhansi and others. Simmba was released on December 28, 2018, and in the first week of its release, it has collected Rs 150.81 crore. In the second week, the film earned Rs 61.62 crore, and on the third week, it collected Rs 20.06 crore. The film's raked in Rs 238.67 crore in the week 4. This week, between January 21 and January 23, Simmba's total earning amounted to Rs 1.91 crore. 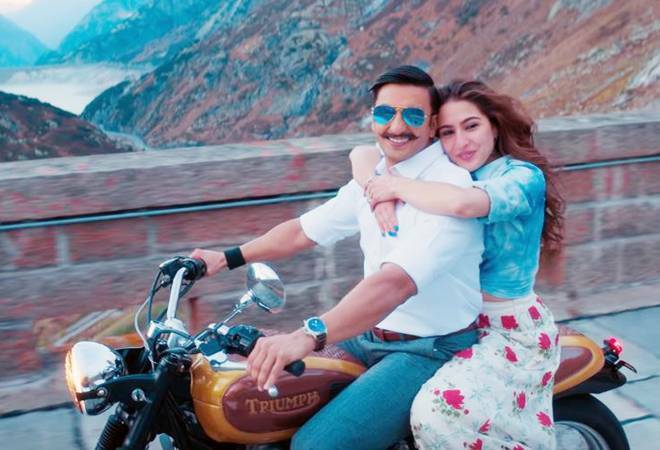 Till date, Ranveer Singh and Sara Ali Khan starrer Simmba has managed to cross $12 million from the international market and has also emerged as Rohit Shetty's highest grosser in Australia with the earnings of $1,439,876. The film still continues to go strong. Simmba has crossed $5 million in the US and the Canada market, and it will be the third film of Ranveer Singh to cross $5 million in America, after Padmaavat and Bajirao Mastani. On January 21, Simmba's overseas collection was close to Rs 100 crore with Rs 93.26 crore collection. In the category of the highest Bollywood grossers of 2018, Simbaa now stands on the third spot after Sanju and Padmaavat.